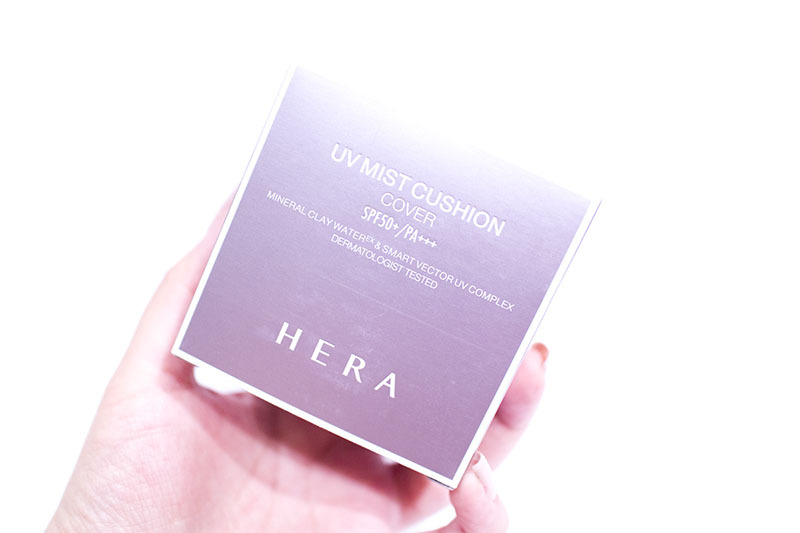 Review: UV Mist Cushion (HERA) – Oh My Stellar! So the packaging of the cushion is pretty simple, nothing excessively ornate, which is nice. The theme colour here is a soft lavender shade, with a matte paper finish and a metallic print on the sides. 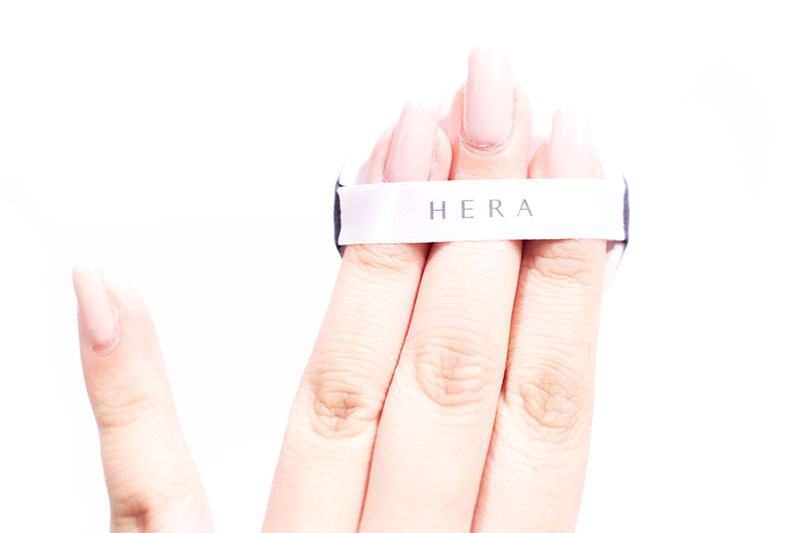 It looks really classy and high end, so it’s what I would have expected from a brand like Hera. It also have a paper insert inside (not pictured) but, to be honest, I’m too excited to read it. For this cushion, I went with the cover version (which is meant to have more coverage) in the shade C21 – a neutral tone would have probably suited my skin better but, due to limited stock, I went with the cool undertone instead. I’m glad that it still matches my skin pretty well though! I’m glad to see that more of these brands are starting to bring out varying undertones now, as one of my best peeves is base make up that looks too orange on my skin. In fact, I hate any base skin product that looks remotely orange on me (which is my issue with Etude House’ Play 101 contour sticks but oh well). 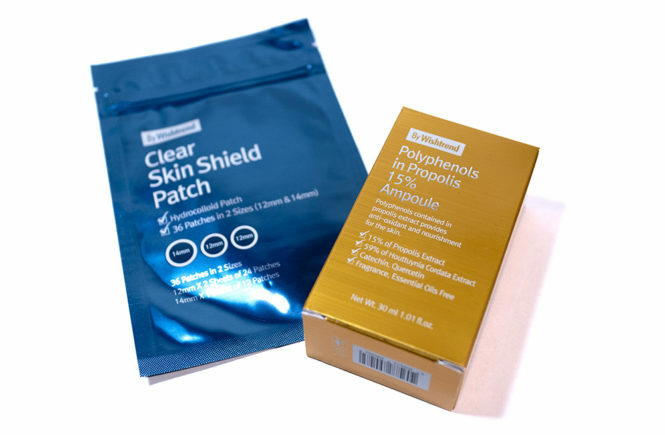 Instant hydration and cooling effect with mineral clay water: This claims that the use of mineral clay water in the formula will help lessen impurities, remove dead skin cells and excess sebum to keep the skin clear, clean and moisturised. It also cools down the skin temperature, allowing for the cooling effect. There is also mention of osmotic pressure and how the water contains microscopic clay (smaller than fog particles and found in icy sea water) but that part feels a bit excessive to me. Light, fresh, dewy and glowing make up that looks like the work of an artist: The ‘hyperfine emulsion’ formula along with the fine cushion cells allows you to wear thin and fresh make up with a dewy finish – “just like wearing an invisible shroud over the face.” This all sounds like marketing talk to me, to be honest, because their sponge is also minimally finer than my other cushions (including the very affordable, cheap Missha cushion) and I am convinced that how you apply your make up is more important than the dispensing power of a cushion sponge. UV Shield Complex for UV protection, anti-oxidation and heat damage prevention: This has a strong UV protection with a SPF50+ PA+++. This ‘shield complex’ also contains extracts from four types of anti-oxidative berries and prunus extract while, aside from shield the skin about UV rays, also prevents heat damage and the formation of keratinocytes to reduce the signs of skin aging. 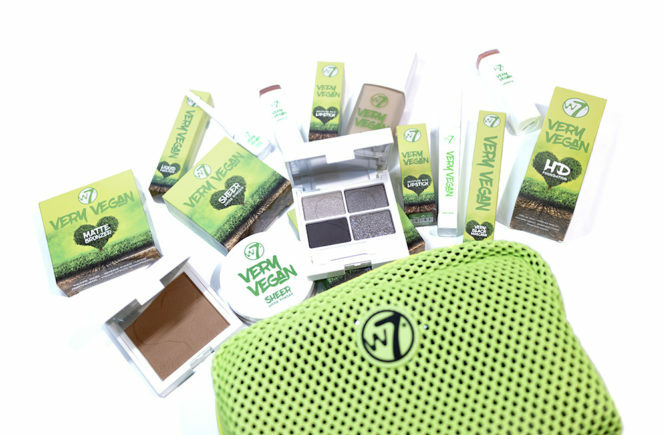 All of these claims are quite dramatic, in my opinion, and aside from the claims about the ingredients – especially the use of mineral clay water which absolutely makes sense for sebum control – they all sound like marketing talk. The claim about the cushion and the invisible shroud is a bit much. Moving on though, this cushion packaging is really pretty, very minimal and high end – which is exactly my sort of thing. It has a glossy finish with the logo in a metallic silver finish (although it looks black in the above photo). The top is white but the rest of the cushion has the same pretty lavender colour all over it – though now I am debating whether the colour is considered lavender or mauve. 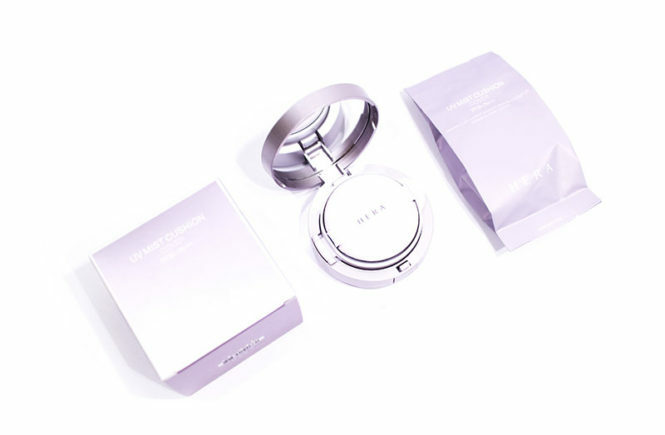 I’ve also seen a more shimmering, dark purple version of it as well – which I think might be an iteration of their moisture cushion – but this is really pretty as well and has a classy, high end feel to it. I definitely makes sense that they have Jun Jihyun as their model. Now, this case looks pretty thick in comparison to some of the other cushions I have but I realised that it’s actually a pretty standard size. The reason for this is that this is still the older design – IOPE and Laneige have both been updated recently, but HERA has yet to make that leap – and the squared edges and solid looking design makes it look more substantial. Is this a positive or a negative? I think it’s all up to personal tastes as it is purely aesthetic. Personally, I prefer cushions that look (and are) more slim and stream lined. That being said, there’s something about the interior of this cushion that I really love. I think it’s because I really like that lavender shade so, when I can open it and see everything in that same pretty colour, it makes me genuinely really happy. The mirror is a good full-size, which is always good to see, and the case is really sturdy and clicks shut well. 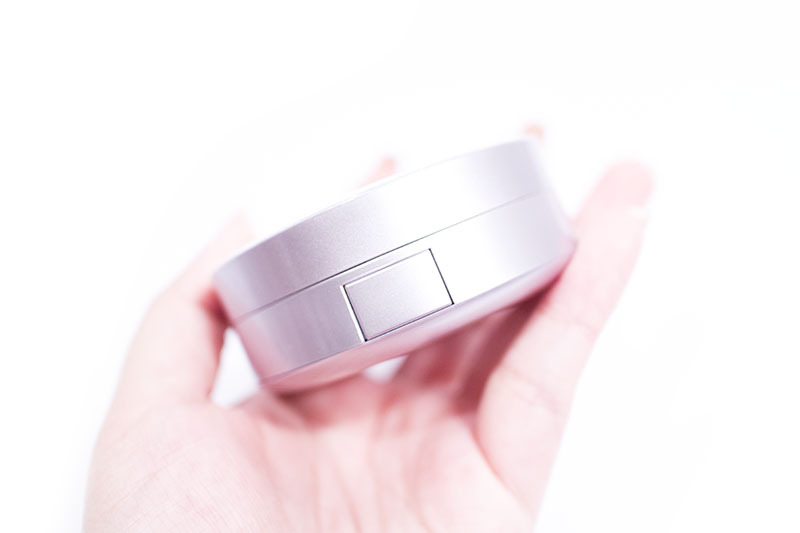 When you click to open the lid, it’s also really smooth and the case feels like a good, solid material. There’s definitely a visible difference in packaging between this and cheaper cushions. The refill of the cushion (and the puff!) 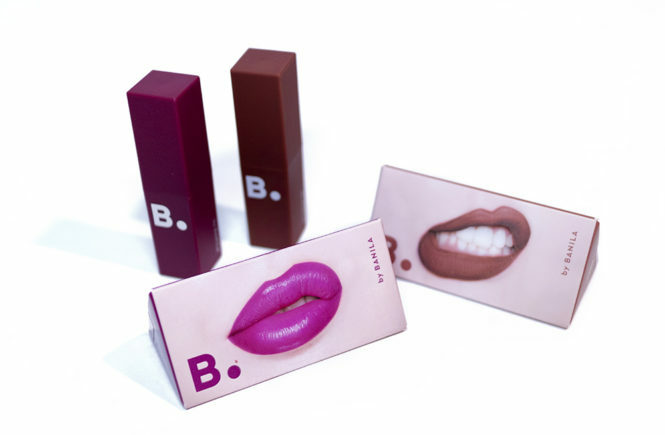 is also matching the case in a lighter, and slightly more pink, purple shade. Although the puff looks white in these photos, it’s actually just a very light colour. 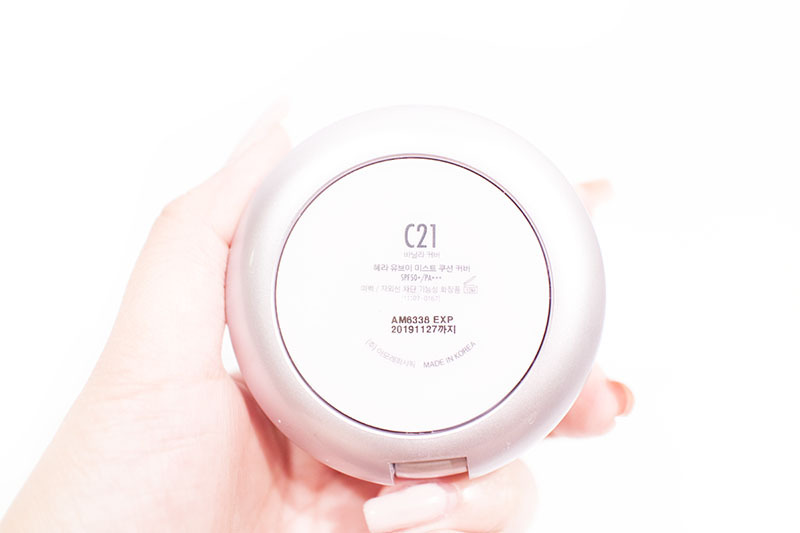 Usually, I feel like the puffs are always the same around these mid-high end Amorepacific brands, but I actually really like this one! 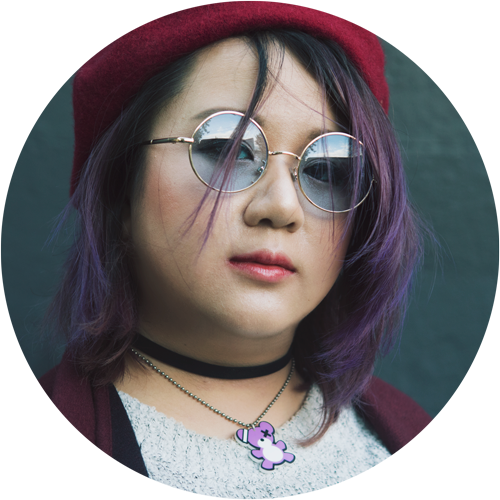 It’s purple (naturally) and it’s very soft to the touch, but the back has a bit of sturdiness to it – a little bit like it’s almost foam. The ribbon is also a good size – though similar on any cushion – and it’s easy to use. The puff blends out pretty easily actually, so perhaps there is something to that excessive product claim about the transparent shroud around my face. Well, no. It’s a good puff but I still think that that’s too much. And that’s the swatch of how it looks on my skin. 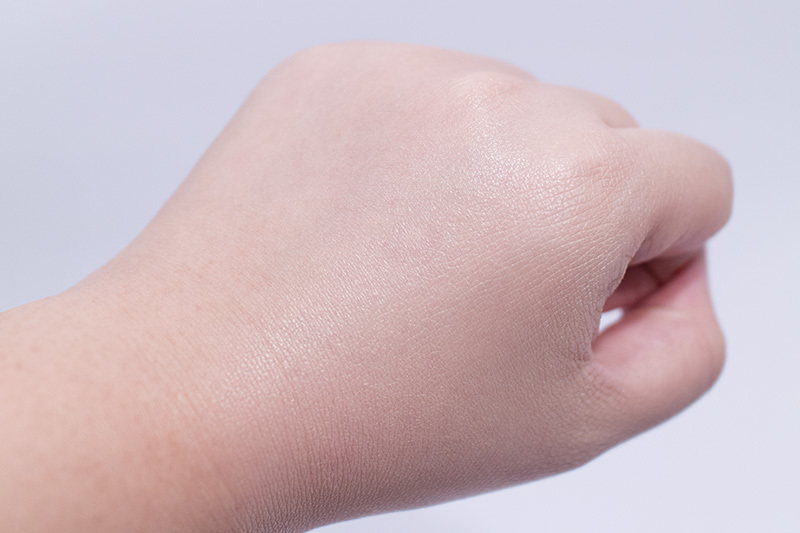 The finish of it is very dewy and natural, with a medium coverage – I wouldn’t consider this high coverage at all. 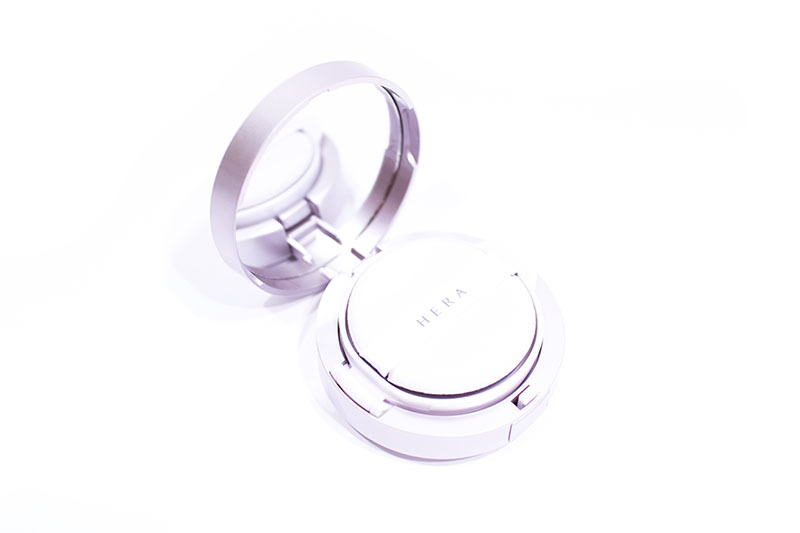 It helps to blur out my pores very well and the formula is easily blendable. 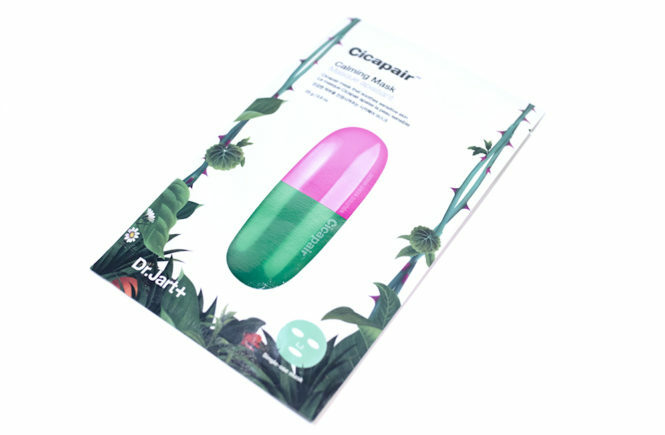 It also smells really nice and has a fresh scent – not in a heavily perfumed manner, so it’s very pleasant. The initial finish of this cushion looks really good too; light, fresh and natural. However, I think that the issues come when you try to wear it for longer. As I work in an office, I usually put on my make up early in the morning and then I don’t get home until nearly 12 hours after I leave the house – which is the entire day. I can touch up my make up during the day and, on some instances, I’ve also removed my entire face and reapplied it too. 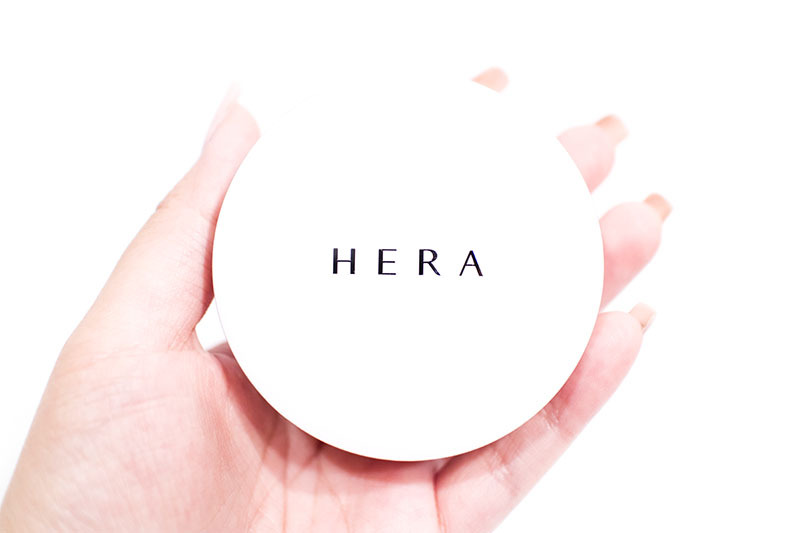 However, for an much as I would pay for a HERA cushion, I expect it to have pretty good lasting power. Around afternoon, I can visibly see that it’s wearing off and caking under my eyes (and completely gone on my nose, though that is pretty common). 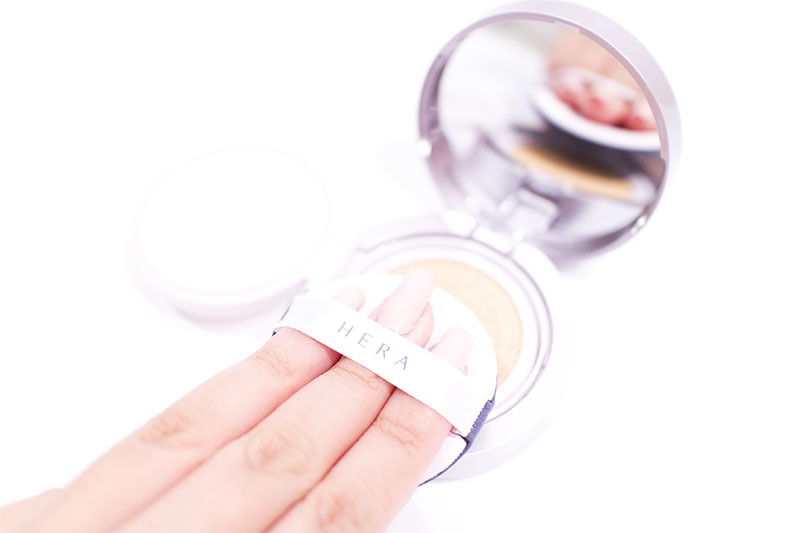 Usually, I would pick up a little product or mist my face and then pat the foundation back in – but that doesn’t fix this cushion at all. Instead, I have to pick up a substantial amount from the cushion and essentially reapply more base make up on top of it. Doing this once a day is generally okay but, if I were would for longer hours or under more extreme weather conditions (I’m indoors at a desk all day) and had to continuously reapply, this natural and fresh finish would start looking thick and heavy very quick. I did try it again with the Banila Co Prime Primer (my favourite), translucent setting powder and a setting spray which helped it wear a lot better but that only proves to me that this product is not necessarily that special as a standalone. 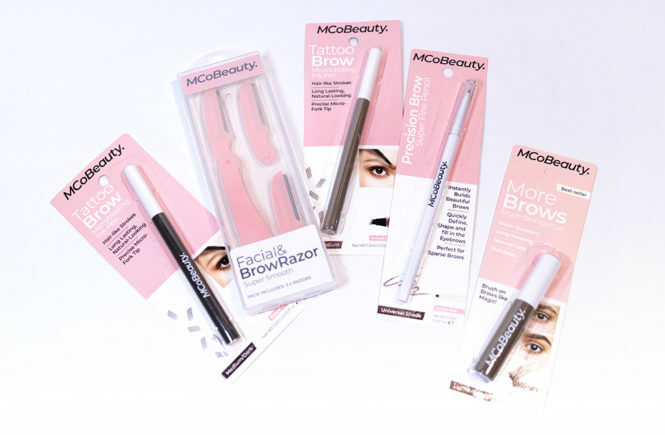 I love the initial finish, I like the formula, but – especially with the price tag – it was underwhelming for me. 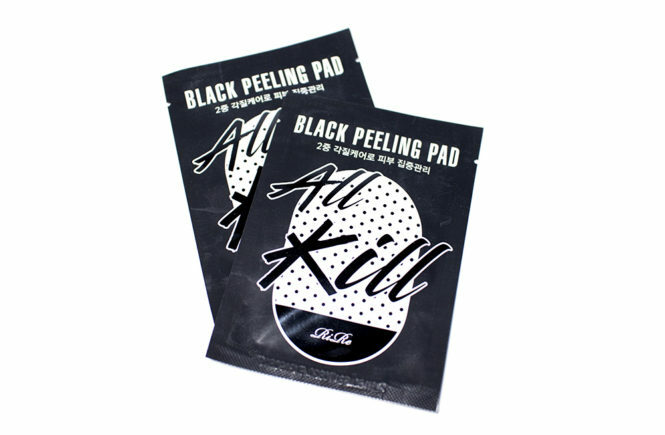 Perhaps this just didn’t work for my skin as well, because I really don’t understand the hype for such an expensive and frankly mediocre product. Since it seems to be my natural oil and sebum that’s affecting it wearability, I’ll be retrying this cushion in winter when my skin is drier to see if it can change my mind. 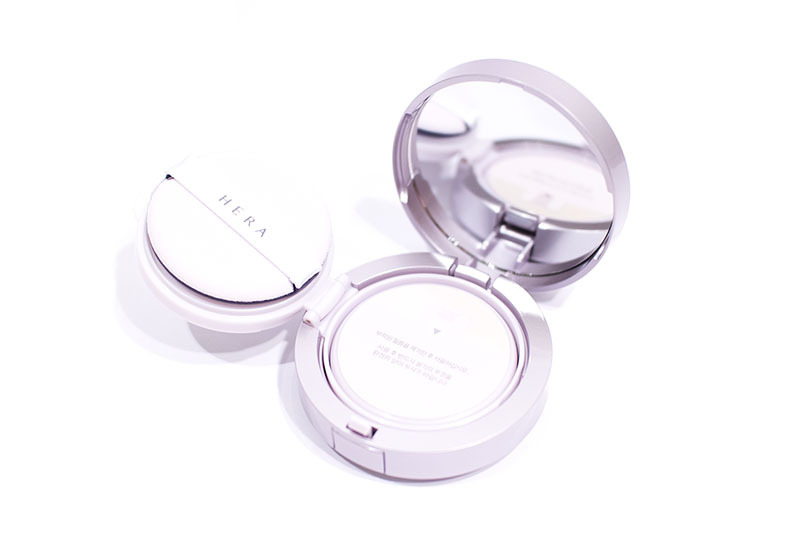 A hydrating, medium coverage cushion with triple purposes as a mist, foundation and sunblock. 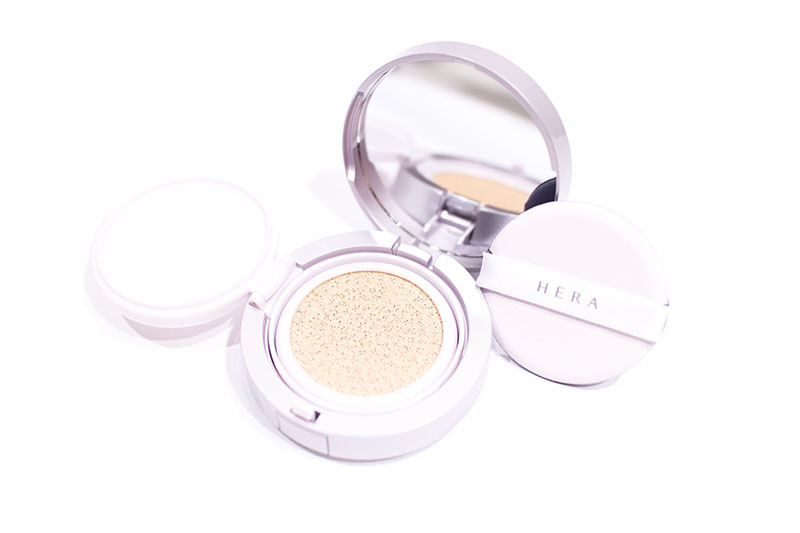 Personally, I will have to say that the IOPE and Laneige cushion wins over the HERA for me, and the tipping point was definitely how it wore through the day. I’m not a fan of retouching make up that isn’t my lip and I much prefer when a quick powder and/or mist can fix it. I live a lifestyle where I am generally out for very long hours, so this isn’t very suitable for my needs. 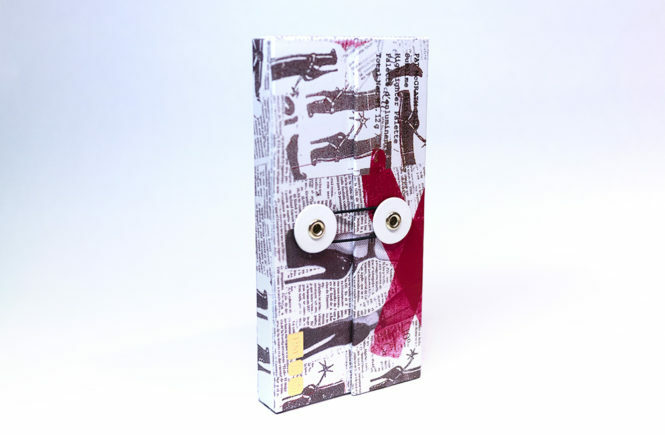 The initial finish is good though and I think that this would be suitable for someone who has more short days or don’t mind doing some more retouching in the day. If you have less oil/sebum and drier skin, the moisturising properties of this would definitely be good too and I don’t think it will cake as badly as mine did. Otherwise, the Laneige and IOPE both win it for me – though the former seems to wear best out of the three.